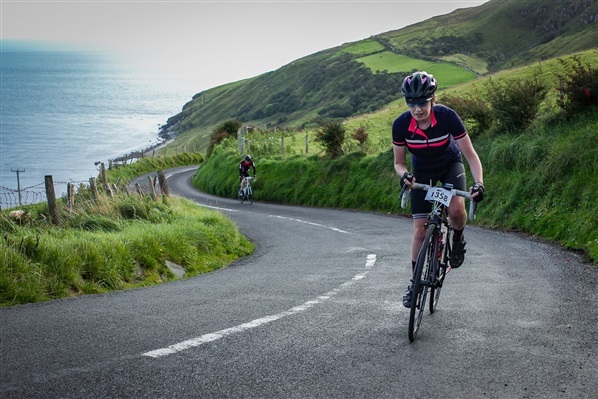 One of the most iconic sportives in Northern Ireland, the Giant's Causeway Coast Sportive takes place this year on Saturday 9th September with support from DiscoverNI. In the lead up to the event, participants eagerly train to be in with a chance of winning the specially timed segment up the infamous Torr Head. The fastest male earns the title of King of the Mountain and fastest female, Queen of the Mountain. We caught up with the 2016 Queen of the Mountain, Claire Vernon, to hear her thoughts on the day. Claire is a keen cyclist from Belfast who rides with Phoenix Cycle Club. She flew up Torr Head’s QOM Segment in a seriously impressive 8 minutes and 46 seconds. Torr Head tops out at 1,210 feet with a gradient hitting over 20% in places and an average gradient of 8%. I had originally planned to do the longer, more formidable route but due to last-minute social commitments (and since I sacrifice enough of my social life for cycling) I thought I’d forgo the 115 mile-route (what a martyr!) and do the 85-mile cycle instead. Since I no longer had the challenge of completing the longest leg in one of the toughest sportives in the UK and Ireland, my sportive buddy had planted the idea in my head of completing the 85-mile route in under 5 hours. So, with that goal in mind, and charged with a healthy dose of competitive spirit (sure, it would be good if I managed the sub 5-hour target but it would be even better if I beat my friend to the finish line…), I set off like the hammers. The first section is a bit of a blur as I hopped from group to group, depending on which one offered the best speed/shelter ratio. Unfortunately to meet my target I had to skip two of three feed stations. I opted for the middle one, where my sportive partner had allocated a strict 10-minute time limit to stuff a ham bap into my gob. Knowing that Torr Head now awaited me, I was lucky enough to receive a tow along the coastal road by a strong two-man team putting in some kind of time trial-esque effort. I’m not quite sure why they chose to do this in the lead up to Torr Head, but I certainly wasn’t complaining. 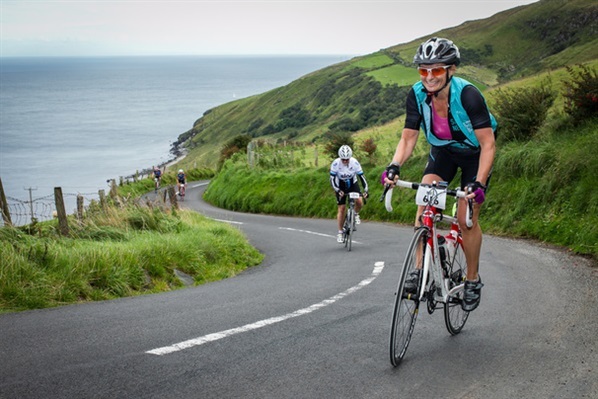 Claire's winning Torr Head ascent captured by sportive photographer IndustryImage. I really was truly spent by that stage, but I summoned some inner strength by recalling all those times I’d been charging up a hill on a training ride and someone shouted out their car window “Keep ‘er lit!” – which always gives me a little boost. With legs burning and heart frantically beating, I finally trounced Northern Ireland’s most ball busting climb. After enjoying the thoroughly dissatisfying descent off Torr Head (a climb that deserves a much better descent), I rolled into Ballycastle, finishing under 5 hours and – more importantly – beating my friend by a good 5 minutes. 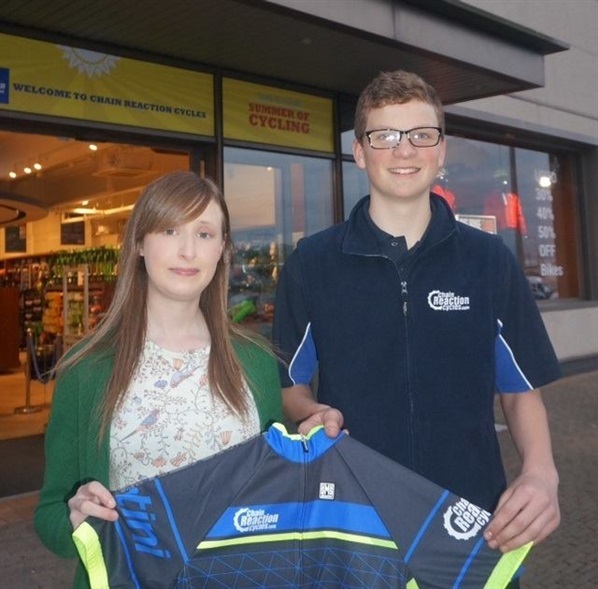 Claire collects her QOM Prize from Chain Reaction Cycles Belfast Flagship Store. 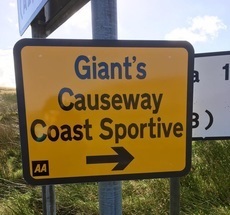 If you want a chance to tackle the event’s KOM / QOM segment on either the 85 or 115 mile route, you can register for the Giant’s Causeway Coast Sportive on the event website, and keep up to date with everything via our Facebook page. If you’re planning to earn the title, the time to beat for King of the Mountain is 6 minutes and 40 seconds; and 8 minutes 46 seconds for Queen of the Mountain. Learn more about the stunning Causeway Coast via Causeway Coast and Glens Borough Council. 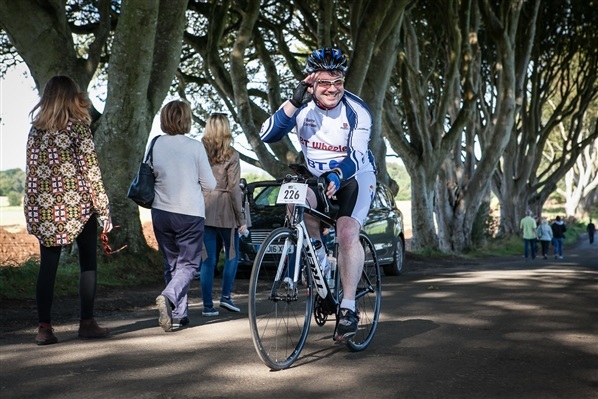 7 Top Tips to Help You Conquer the Giant’s Causeway Coast Sportive. 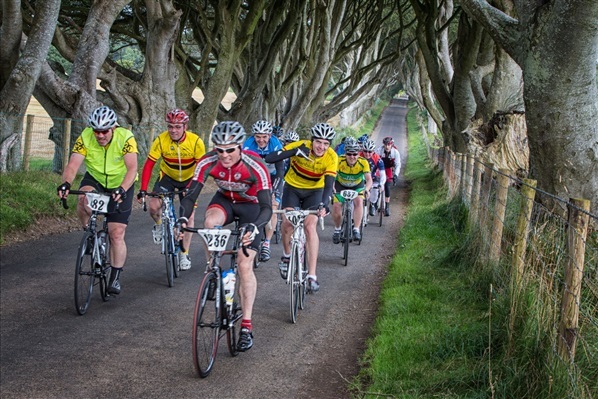 Sportives are hard, and the Giant's Causeway Coast Sportive is certainly no exception. To help you prepare for the day, whether you've signed up to the 35, 85 or 115 mile legs, we've got some great tips from top Irish long distance triathlete and coach, Lorcan Healy. 1. Get the miles in! Don’t underestimate the challenge. As with other endurance events – such as half marathons, marathons and triathlons – you wouldn’t complete them without any training. This means getting the miles in on the bike and increasing your fitness to meet the demands of your sportive. A general rule of thumb is that you should be able to comfortably cycle two thirds of your sportive distance in training. For example, if you’re riding the 115 mile leg of the Giant’s Causeway Coast Sportive, you should be able to clock 77 miles in your training. Also, mimic the terrain of your course in training. If it’s a hilly sportive you are planning, get your climbing legs on during training and try a few hilly cycles. 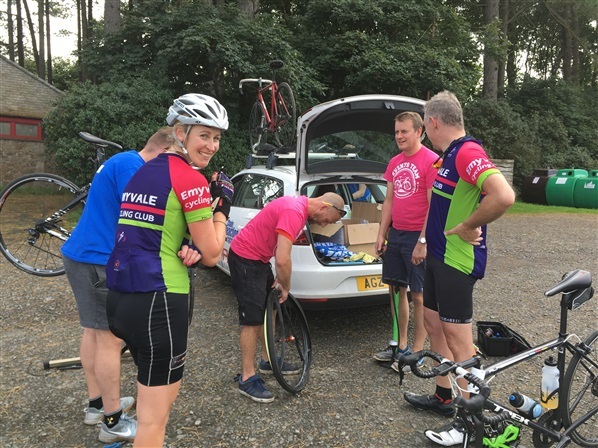 Your sportive cycle can seem daunting, especially if it is a super hilly 115 miler, or a distance you haven’t cycled before. If you break the distance of the route into sections, it becomes less daunting and will help keep your motivation levels up. Aim for the food stops which you’ll come across every 20/30 miles. This is a great way to break the distance down. Food stop to food stop; it will help keep your morale high and the sportive will seem to fly by. 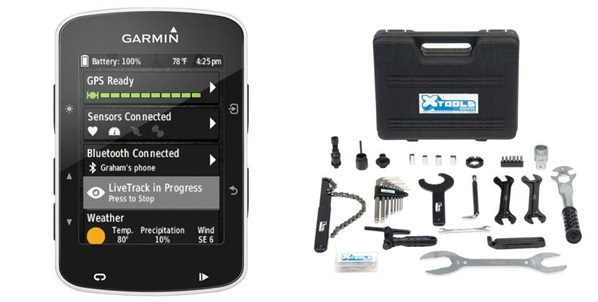 Your bike is the tool that is going to get you across that finish line so it to needs to be in good shape. Make sure your bike is fighting fit the day before your sportive. The last thing you want is to be fit and motivated to complete the challenge ahead only to be let down by a mechanical issue. Consider leaving your bike into Chain Reaction Cycles to get a service before your big event. Or if you’re a keen amateur bike mechanic check your tyre pressure and brakes are working and not rubbing on the rim. Don’t forget, mechanics from Chain Reaction Cycles will also be on standby throughout the day to help with any technical problems! Anyone familiar with the weather in Northern Ireland will understand that one minute the sun can be splitting the sky and the next it's bucketing out of the heavens. Being cold on the bike is a miserable experience, therefore being prepared is key. Suitable kit is a must when undertaking a cycle that will last a few hours. Check the weather forecast the day before your event. If there are showers expected then fold a lightweight rain jacket and keep it in your back pocket of your cycling jersey. It's best to be prepared so you have nothing to worry you on the morning of your sportive. This is huge. It should be in your head as you prepare for your sportive and yet this is the most common factor that sees people withdraw three quarters of the way into the cycle. Don’t pay the price for setting off too fast - you'll just end up wanting the road to open up and swallow you as you dive deeper into the suffer fest. 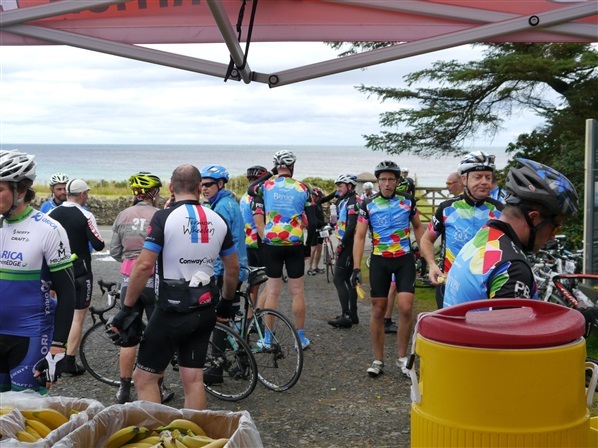 In a big event such as the Giant's Causeway Coast Sportive, it is easy to get caught up in the atmosphere and with fitter riders; it is a mass participation event but NOT A RACE! Ride at your own pace or with people who you may have trained with. This will allow you to keep plenty of energy in reserve for the more challenging aspects of the course. This is an important factor on the day of the event. Any cyclist who has run out of fuel and has “bonked” or felt the “knock” will tell you that it is a very unpleasant experience. 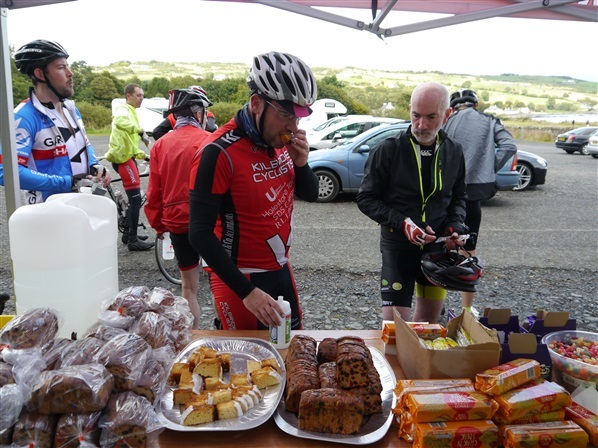 Make use of the food stops available during the sportive. Keep drinking energy drinks every 10 / 20 minutes and eating energy bars and gels every 45 / 60 minutes. If you do feel yourself getting tired, a good idea is to have a caffeine energy gel. After this, you'll feel like somebody has given you a new set of legs. Also the night before the event try to eat foods that are high in carbohydrates such as pasta and rice as it is this that will provide you the energy to conquer whichever route of the sportive you're doing. You’ve done the training and worked hard in preparing yourself for the challenge so enjoy the experience! There's no doubt you will find the going tough at certain points (cough Torr Head cough) but think of all the work you've put into preparing yourself for it. 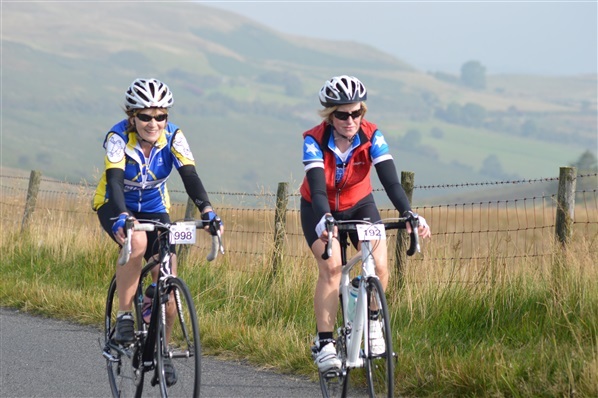 Completing a sportive is a huge achievement and highly rewarding so enjoy the whole experience. Enjoy crossing that finishing line and meeting other participants and sharing your stories from the event. Enjoy the after party! There's no doubt in my mind you'll be buzzing for a few days after and will be signing for your next sportive very soon. 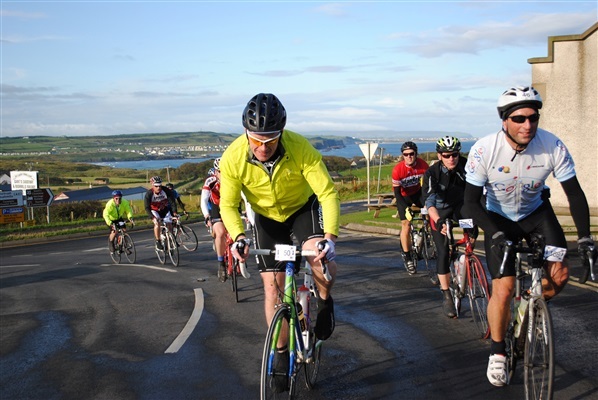 Enter the Giant's Causeway Coast Sportive now! Lorcan Healy is a professional physiotherapist and triathlete coach with Peak Performance Coaching. He has ridden competitively across Europe and provides indepth coaching lessons and training programmes. Lorcan Healy is a top Irish long distance triathlete and coach. He has raced at the highest level within Ireland, the UK and Europe. In our newest blog, our friends at SeeSense explain why bike lights aren't just important for night riding. It is a crucial aspect of cycling safety that many people tend to ignore when making their purchase. 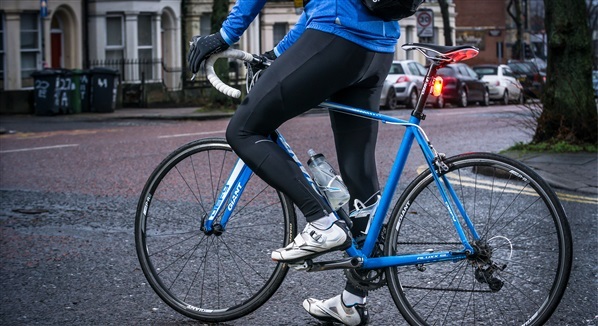 But when you consider that 80 per cent of cycling accidents happen during the day, and with a significant increase in fatalities within a 10-year period, it’s become evident that visibility during the day is now just as important as being seen in the dark. Following a study of 184 cyclists previously involved in collisions, Australian researcher Phillipe Lacherez found motorists had “looked but didn’t see” the cyclist before it was too late. He suggested that a solution to this was both wearing reflective clothing and fitting a light which works during the daytime and also at night. Many cyclists sport high-visibility gear when on the roads, but hi-vis clothing only offers visibility during daylight hours as it reflects UV rays from the sun. Lacherez suggested the use of reflective strips on your knees and ankles that allows the lights from cars to bounce back and signal a cyclist’s movement. In another survey conducted in Denmark, 4,000 cyclists were enrolled in an experiment that again proved the benefit of daytime visibility. In the survey, 2,000 only used their lights during the hours of darkness, while the other 2000 participants used their bike lights all day. The results showed that there was a 47 per cent decrease in accidents when lights were used throughout the day. Almost half of fatalities occur on rural roads , making them particularly dangerous for cyclists. There are various factors which contribute to the high volume of accidents. Not only does the speed limit tend to be higher, but isolated routes can also be unlit or have poor lighting. Having a bike light that flashes brightly from both front and rear can alert drivers of a cyclist’s presence before they get too close to you, reducing the risk of a collision or near miss. Motorists have a vital role to play in helping reduce the number of cyclist fatalities and accidents on our roads. Research has found that 60% of major collisions happen at junctions, with drivers commonly reporting that they ‘failed to look properly’. Better awareness of other road users is a crucial factor of road safety for motorists and cyclists alike. 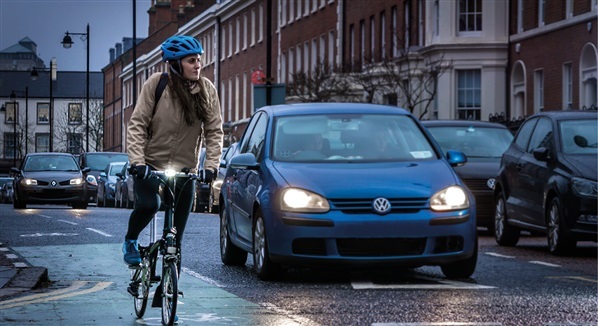 A cyclist also has to be aware of the traffic around them, and by making themselves more visible they are taking an important step towards improving their own road safety. See.Sense ICON and ICON+ lights have been designed with twin CREE LED lights and a fresnel lens to offer unique visibility during the day. Our lights have a 15-hour run-time with optimised battery use, all which can be monitored and controlled from your smartphone and recharged by USB. Improving cycle safety isn’t just important for reducing fatalities, it can also encourage more people to take up cycling. And the more cyclists we have on the roads, the better cycling infrastructure can be developed to improve the overall cycling experience. Cambridge University found that 85% of local cycling correlated with the provision of better cycle routes. So if we cycle, they’ll build it, and if they build it, we’ll cycle more.